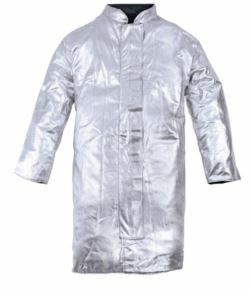 Aluminised heat protection clothing is used where it comes into direct contact with up to 1000 ° C fire or heat sources temperatures . Our aluminised heat protection clothing will give utmost protection in the extreme environments they work in and they will provide comfort and ease of movement and flexibility. 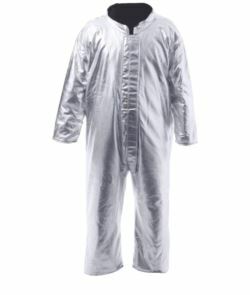 -the exterior one is made of aluminum foil and guarantees 95% of the heat repulsion. 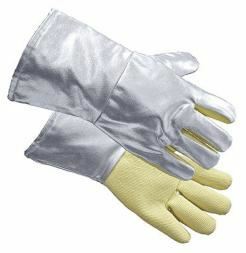 -the middle one is made of soft and lightweight carbon felt, resistant up till to 800° C.
-the inner one, skin contact, is in viscose, providing softness and comfort with thermal protection thanks to aramid component presence. 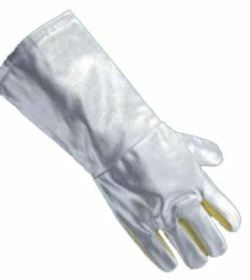 -UNI EN 1486:2008 considers requirements for the protection of the whole body including head, hands and feet. 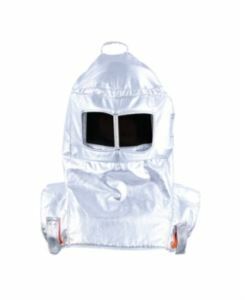 Covers only protective clothing that relies upon the ability of the outer material to reflect intense radiant heat. 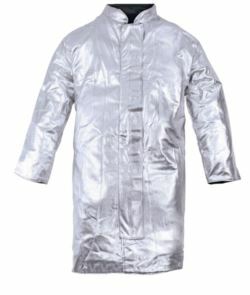 This type of reflective clothing may also be used for industrial applications involving high levels of radiant heat. -EN ISO 340:2013 specifies a method for assessing, on a small scale, the reaction of a conveyor belt to an ignition flame source. It is applicable to conveyor belts having a textile carcass as well as steel cord conveyor belts. including head, hands and feet.